2013 was a big year in life. I completed 50 years in October, and 25 years of marriage in December. The significance of the year had been on my mind for a while, and one of the things I wanted to do, was to take a good vacation, and celebrate the dual events in life. I looked at options like Scotland, other parts of Europe, the Canadian Rockies and Alaska, and Australia-New Zealand. I was to travel in December, that was for sure. The key thing that worked out in favour of the Southern Hemisphere destinations was the fact that in December, Southern Hemisphere would enjoy longer days, and in fact, destinations like Canadian Rockies would see really short days! That was a clincher of a reason, and so it was to be – Australia and New Zealand were decided. I planned a good, overall, month-long trip, with the first half being in Australia, across various interesting spots, and then New Zealand. Unfortunately, due to some developments at work, I was not able to get out as planned, and had to push my departure date. And this was AFTER all tickets had been booked and plans were in place. At that late stage, it was impossible to reschedule everything and keep the original itinerary, and that ended up converting the one-month Aus-NZ vacation to a 17-day NZ-only vacation. And that is how the trip came about happening.. There are popular destinations where several of one’s friends have travelled, or one knows many people residing there, and can take tips. 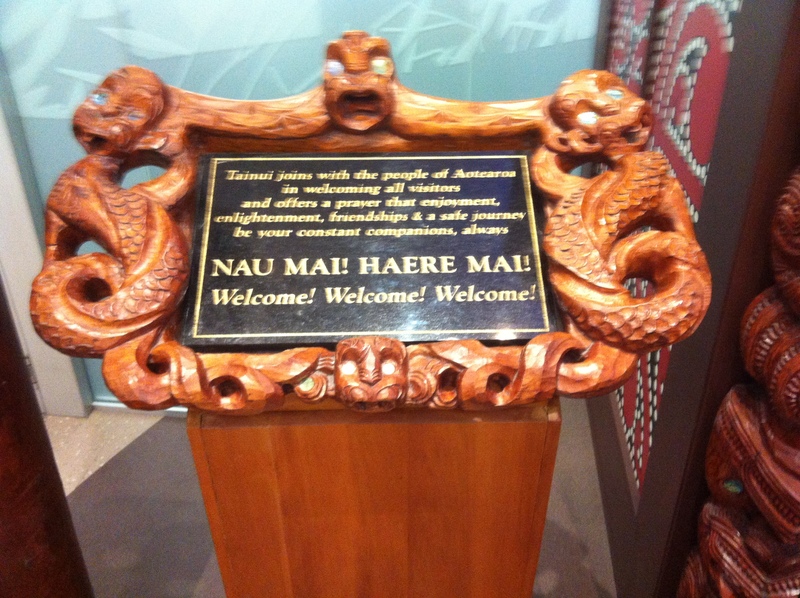 New Zealand was not quite like that. Few friends had visited (and I certainly got tips from them) but otherwise, it was left for me to do my own research, on the web. 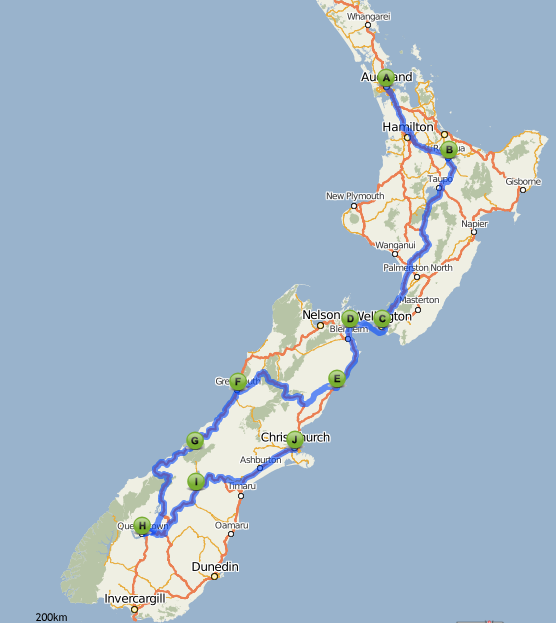 Combined with tips from a few friends and the web research, I was able to identify a decent itinerary for NZ. This covered landing into Auckland, and driving from there in North Island, across various intermediate places, and down up to Christchurch in South Island, from where we’d fly back. While one can use road and air to go across the country in New Zealand, one of the popular ways to see the country, is by road. The reason being that, there are several interesting locations right across the length of the country, and one can plan for a schedule that goes from one place to the next, by road, and thereby cover the entire country well. Moreover, driving on New Zealand roads is easy, for an Indian driver, and it is almost a pleasure to do a self-drive tour of New Zealand. So that is what we decided to do. Then there were decisions related to travelling into NZ and out of it, the car rental within NZ, and where to stay in each place, etc. In terms of air travel, my tickets were already booked into Australia, as per the original itinerary, and also combined with the fact that there are better connections to Sydney or Melbourne, than to NZ cities, I stuck to the same entry point. We had chosen to fly Qantas, via Singapore, where in fact, the Mumbai-Singapore sector was on Jet Airways, on a Qantas code-share. So now had to figure out best option to get from Sydney to Auckland, and then from Christchurch back to Sydney. Online research showed up several options including Qantas, Virgin Australia, JetStar, Tiger Air and Air NZ. Online research was necessary to find the best deals and we zeroed in on JetStar finally, as the airline of choice, to go from Sydney to Auckland, and then from Christchurch back to Sydney. As for the car rental options within New Zealand, again, it was a matter of online research. I found Apex Car Rentals to have good options, easy to find the details that one needed, and also prompt and clear in responding to email queries. After making the original booking with them, I needed to make changes on 3 occasions, and all of those were smoothly done, with no friction at all. It was a pleasure to work with a service provider of this kind. With Apex Car Rentals, one needs to choose the vehicle, the plan, add accessories, the dates, the pick up and drop off point, whether one is taking the car across from North to South Island (on ferry), and give your credit card details. The card is not charged at time of booking, but only when you actually rent the car, after reaching the pick up point. What I would recommend specifically, in regards to car rental, is to pick the right size of the vehicle. If you are doing (like we were), say 15+ days of travel, in the car, you would also be carrying bags to cover that kind of travel. Ensure that there is enough space in the trunk to accommodate your luggage, and then there is enough space to be comfortable, for all of the travellers. Also ensure that it is a vehicle that you can manage to drive. While a motor home / camper vehicle may seem interesting to use, you need to be sure that you can manage to drive a heavier vehicle. Also in that case, you’d ideally like to have multiple drivers in your group, so a driver does not get stressed out. Finally, if you are thinking in terms of a camper, you must recognise the need to look for, and park at specific camper locations, where you can refill your water and other supplies, and also clear your bathrooms, etc. That does take a little extra toll, and you also lose the flexibility that a simple car provides you. So weigh those pros and cons before deciding on a camper vehicle vs a car. What I also cannot overemphasise is the need for the GPS unit, in the car. This is offered as an optional additional accessory. It is definitely worth the money to ask for that one, and get it. As one drives around New Zealand, at close to 100 kmph, there is no way that a navigator sitting next to you, with printed maps, can cope up with the turns and the bypasses. A GPS unit, giving voice instructions and of course, a moving map, is definitely the answer. I may also add that at various places, where we drove, the cellular signal was often not there, but the GPS still functioned. So any thought of using Google Maps on your iPad instead of the GPS unit, is not such a smart idea, please note! We were just the four of us, and I was likely to be driving for most, if not all the time, and we opted for a simple sedan. While I had estimated trunk size to be sufficient, when I booked, by the time we reached there, and our bags were finalised, the trunk was very tight, and needed some creativity to put all luggage in there. But we managed! Coming back to the car rental company and choice, once in New Zealand, besides cars of Apex Rental, we also spotted a lot of vehicles of Jucy Car Rental service, which must then be, one of the other very popular service providers. We did see the popular global brands like Hertz and Thrifty, but they were very few in comparison with Apex and Jucy. Once you have your broad dates frozen, and broad itinerary done, you want to figure out the hotels at the various places. In most cases, one just needed a place to spend a night at, as one would be out and seeing the place, most of the day. And yet, you do need a good bed to lie down at, a clean room, good bathroom, and hopefully, free Wi-fi. Additionally, as vegetarian Indians carrying some food items as backup supplies (to restaurants, etc. ), if you get a kitchenette with your room, it is a good bonus. Motels work well, in such cases. Also as one travels from one small place to the next in NZ, motels are indeed, the most likely place where you will stay. And several of these motels offer kitchenettes too. New Zealand is not cheap, one must appreciate. If you compare with the US, you would find all costs, like car rentals, air fares and hotels, to be little more expensive, for the same quality. That may primarily be because there are fewer people and a lesser business, from which people still need to make a living. So the per capita spends go up, to cover that! That overall fact being accepted and recognised, as you look for hotel options, you can find a wide range of places and prices. That’s when you dig in to see what really works for you. You want to be sure the location is not too far off. You want to see some pictures so you know the real feel, beyond just words of description. And perhaps, you want to see some reviews. Perhaps. Once those are taken care of, you look at the best price. Enquiries of this kind can be done on a whole host of sites. And they are not too different from each other. So you need to find one which gives you comfort. For me, that turned out to be hotels.com. Easy to find places, terms well laid out, searching options was easy, and in most cases, either I did not need to prepay, or full-refund cancellations were possible, till almost the last day. Then there were advantages like getting one free night for every 10 nights booked, etc. So with all that, did all of my bookings via hotels.com. And since my program went through a few changes, it helped to have that flexibility of easy cancellations. One thing to watch out for, while looking for hotels, is to see specifically, that the room has its own private bathroom. Several cheaper options may look good in all other respects, but you might have not realised, and they may actually NOT have a private bathroom for the room. Unless you are comfortable to go and use a common bathroom in the corridors, also frequented by others who are staying at the hotel, you would want to have a private bathroom in your hotel room. So ensure that you look for the clear mention of this, as you search for your perfect hotel room! We were four of us, and it helped to look for and find, a room for four pax. That was definitely cheaper than 2 rooms for 2 pax. I did not find those options everywhere, but wherever I did, it was useful to get the price benefit. Plus, when we used those kinds of rooms, in most cases, they were extremely nice and roomy, with a few of them, even being large suites, in fact! Across the country, the average cost per room that I got was about NZ$150 per night, but that included a huge skew to a very expensive rate, on Dec 31st and 1st Jan, when we were in Fox Glacier and Queenstown areas. 1. 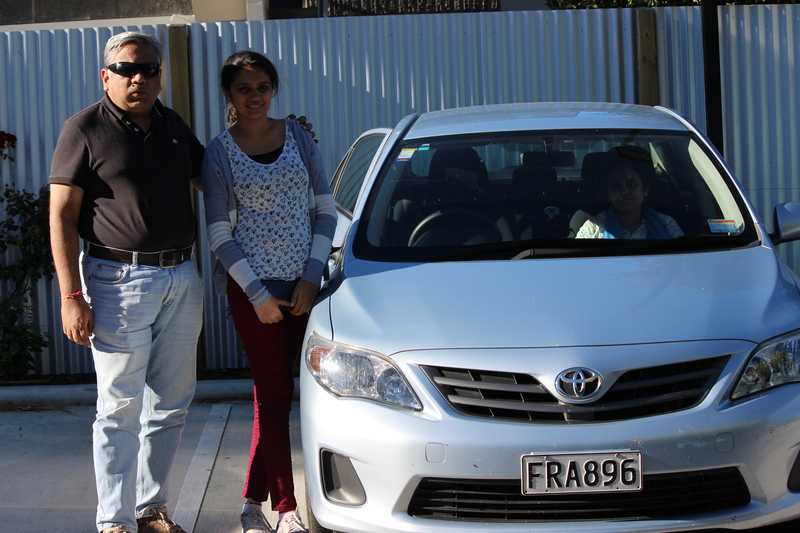 The Indian driving license works just fine, to rent cars in New Zealand. Although, I took the effort to get an international driving permit, it was not even found to be necessary, as they did not ask for it. Make sure you carry your Indian license with you, if you intend to drive in NZ. 2. The visa takes a few days to come, and demands a fair amount of paperwork. Budget for the time to get it, if you are planning a trip. 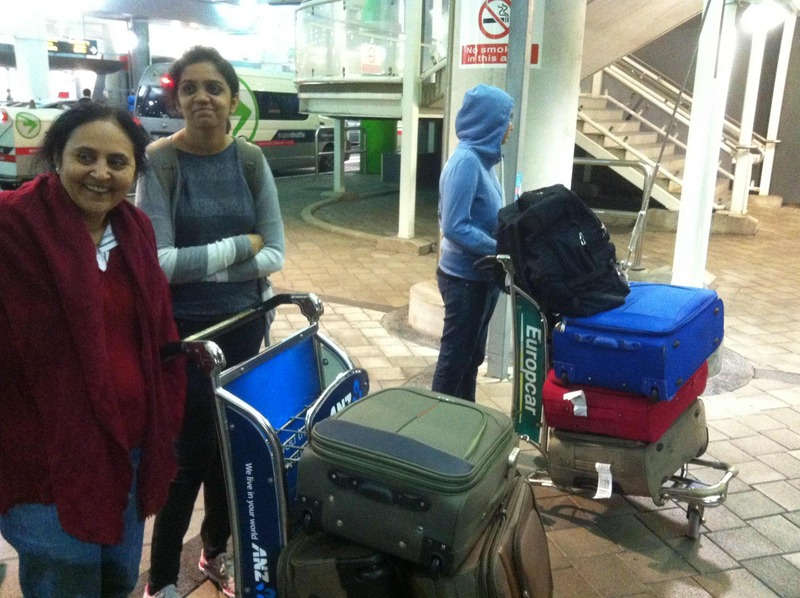 With all this preparation, we were set for New Zealand and couldn’t wait to get there.. !